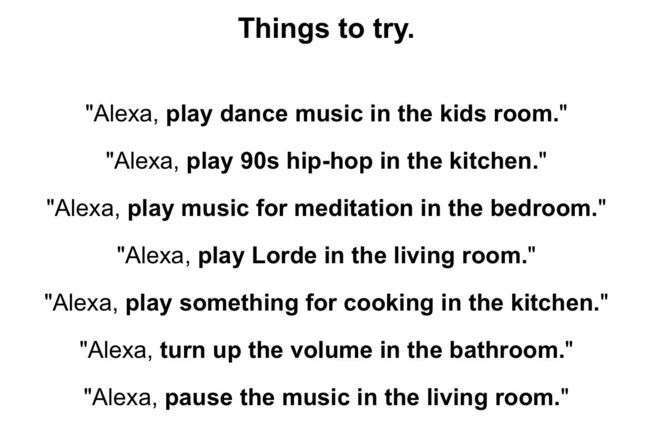 Now you should be all set up and ready to start listening to music by asking Alexa to play it. There are a few things you should know. 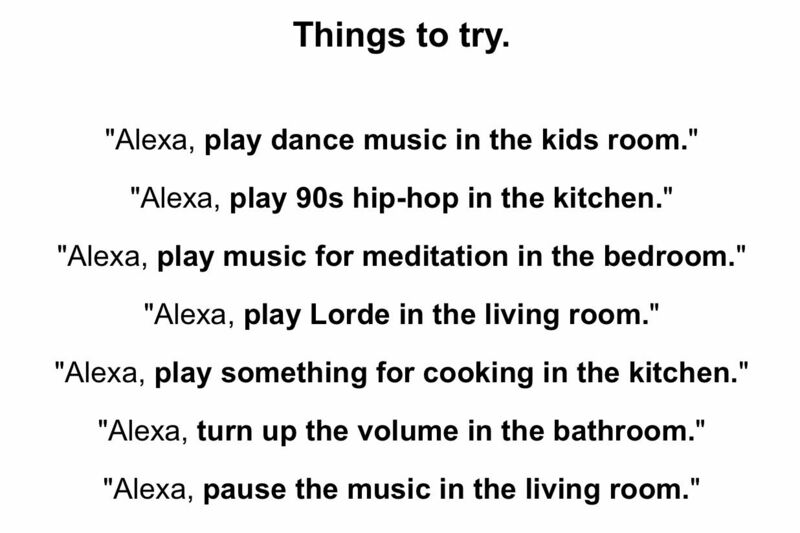 Alexa + Sonos is still in an open beta, things are not fully as intended, but will get better automatically through software. This also means in the future you won’t have to call out which room you’re referring to, soon Alexa will know automatically know. Right now you can play music from Amazon Music, Pandora, TuneIn, SiriusXM, and iHeartRadio. Spotify integration isn’t available yet, but will be coming shortly. Tip: If you have a Playbar or Playbase for your TV sound, having an Echo means you can ask Alexa to turn up and down the volume of the shows you’re watching. Neat. 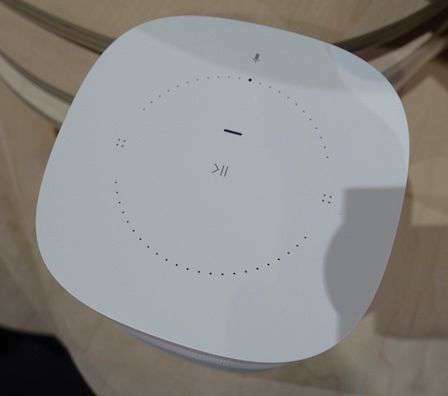 In addition to adding Alexa voice controls to existing speakers, the Sonos One was also announced which will have microphones and Alexa built in directly for $199—no need for an Echo. UPDATE: Until October 10th you can get $50 off a Sonos Play:1 and $100 off a Sonos Play:5. Remember, you’ll still need an Echo device or Alexa enabled Fire TV for these to utilize voice control, but better hurry, this is a great deal. Use the code “SONOSPLAY1” or “SONOSPLAY5”.